K Nex Building Kit Just $35.56! Down From $75! PLUS FREE Shipping! You are here: Home / Great Deals / Amazon Deals / K Nex Building Kit Just $35.56! Down From $75! PLUS FREE Shipping! Head over to Amazon where you can score K Nex Building Kit for just $35.56 down from $74.99 PLUS FREE shipping! Build beyond and create wow with the K’NEX imagine 25th anniversary ultimate builder’s case. Celebrate 25 years of K’NEX with this classic building set that includes 750 classic scale K’NEX rods and connectors to build anything you can imagine. The enclosed step-by-step color-coded instructions showcases 50 unique models of varying size and difficulty. Builders can chose to create a sailing ship, fire truck, light house, or design whatever they can imagine! Done building? Use the re-usable plastic storage case, a flashback to the original case design from the early 1900S, to store your K’NEX rods and connectors. Most models can be built one at a time. Nice! 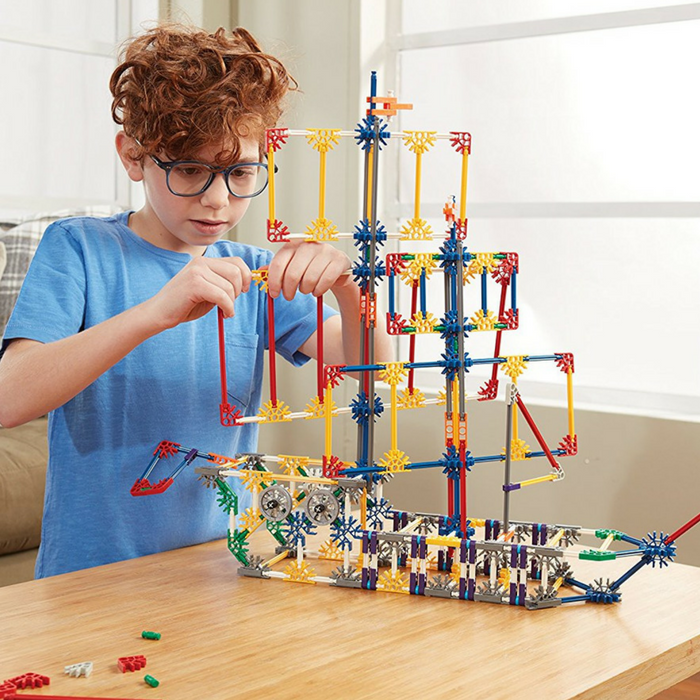 STEAMagination™ – It’s the connection of STEAM (science, technology, engineering, arts & math) with a child’s natural curiosity and creativity and it powers the fun of each and every K’NEX® building set. Building with K’NEX puts children on a path towards a fundamental understanding of STEAM/STEM subjects. coordination, fine motor skills, problem-solving skills, spatial awareness and exercising their imagination!